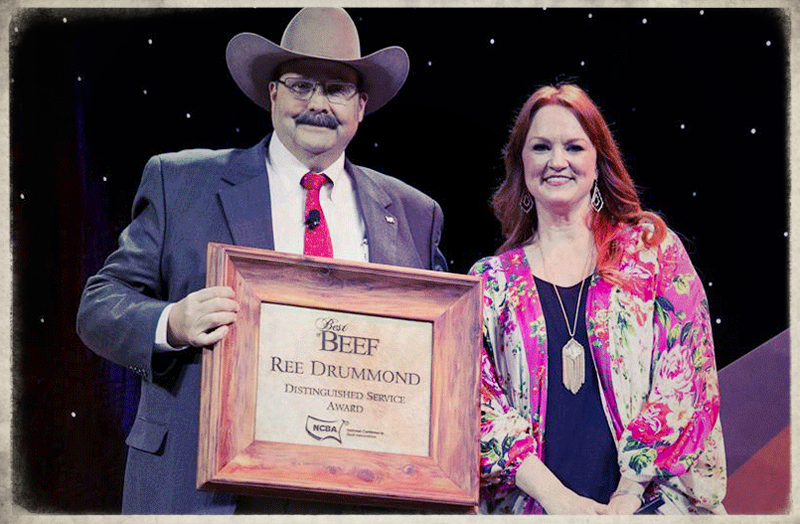 In response to Debbie Coffey’s article published on 2/12/2018 I would like to add that I was not the least bit surprised that Ree Drummond (Pioneer Woman) would be experiencing ‘the vapors’ over her little rodeo routine at the National Cattleman’s Beef Association convention earlier this year. She and her husband have made tens of millions of dollars off the backs of wild horses who have been ripped from their rightful range, their families smashed to pieces and what’s left of the gender segregated herds are farmed out to the likes of the Drummonds at great expense to the tax-payer while privately owned, federally subsidized cattle are put on the horses range. In my opinion Ree is a phony, Ree is greedy, Ree is a magnet for attention, and Ree doesn’t give a horse’s behind for the wild ones because if she did care about the horses, that are under her care, she would NOT be a part of or partake in any activity sponsored by one of the most pro-horse slaughter organizations in the United States. But she did. Yipppie, I am so cool. You don’t need to grow up or live in the country, you don’t need to know how to saddle a horse or even live with a pony in your backyard to know the difference between what is right and wrong for these creatures. Predatory horse slaughter for human consumption does not take place in this country so why would she run and jump right into bed with an organization that wants to sell all the wild horses off to Canada or Mexico where they would be grotesquely murdered then eaten by foreigners? Phony or just plain stupid? Let the reader decide but anything that will make her look 20 minutes younger or have one more person ‘friend’ her on Facebook then I guess she is all in. This speech was her chance to speak on behalf of the horses that she uses for her advertising and promotions and she did not make any effort to step up to the plate, she blew it and proved, once again, that the horses are nothing more than dollar signs and their future and well-being are of no consequence. How do the Drummonds fit into the Wild Horse picture? The Wild Free-Roaming Horses and Burros Act of 1971 (signed unanimously by Congress with President Nixon’s sign-off) ensures that wild horses and burros can live out their lives, unmolested, on US Public lands in 9 western states under the care and watchful eye of the Bureau of Land Management a part of the Department of Interior. Over the years the Act has been bastardized by amendments, so the Congressional rights of the wild equines have been eroded away by grazing, extraction and hunting special interests. Now, the BLM rounds up and removes what it deems to be “excess” wild horses and burros, with little to no scientific supporting data, and warehouses them on contracted cattle ranches (like the Drummonds) while allowing private, subsidized cattle to graze on the wild horse’s former range on public lands. All of this at tremendous expense to U.S. tax payers and the potential extinction of our wild horses and burros. 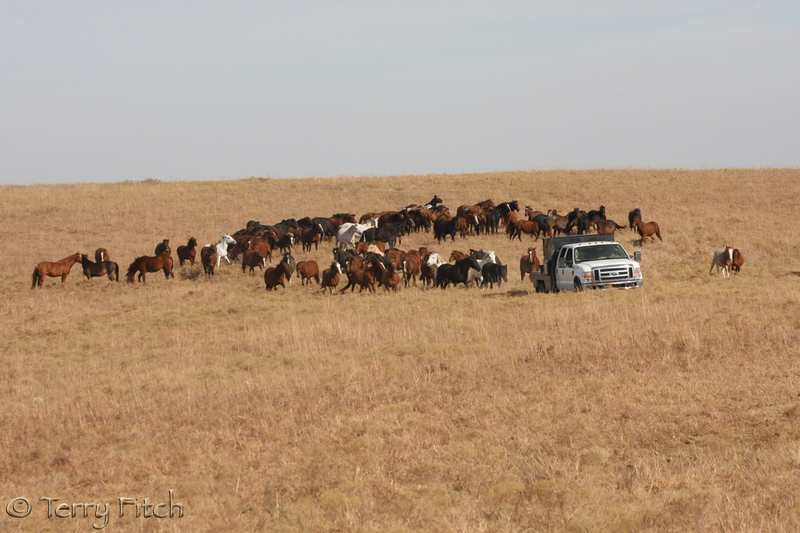 So, in my humble opinion, instead of spending tens of millions of dollars to pull wild horses and burros off of their protected land and put them on cattle farms while putting private cattle on public lands why don’t we just (wait for it) leave the wild horses on their rightful range, free, with their families and keep the cattle on the cattle ranches. Is it really all that complicated? What “wild horse problem” in New Mexico? There are only 168 wild horses in the entire state. Absolutely true, RT! And THAT is the story – removing wild animals from their own habitat so that a few (very few) livestock operators can use & abuse that habitat AND so that we, the taxpayers, will PAY for that use! Amen! I call my Tn Congressman and Senators weekly to tell them this. https://www.abqjournal.com/1135403/ranch-manager-addresses-wild-horse-problem.html. Anyone have information on this? She is phoney and does not care except for money. It’s not just your opinion, R.T. Fitch, it’s reality. The Drummonds live on blood money. Disgusting. Pioneer woman is about as original as a cow patty. I just caught original airing of Pioneer Women on Food Network where feckless Ree Drummond bullish!ts the viewer into believing the wild horses they steal live a quality life. As soon as I heard wild horses a big fat red flag shot up. Boy, what a selfish, destructive greedy family. Wrong in so many ways.